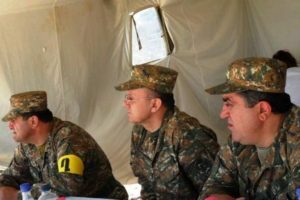 The first army corps of Armenia’s armed forces on Sunday conducted reinforced regiment drills during which some of the episodes of last month’s hostilities in Nagorno Karabakh were simulated. According to the Armenian Defense Ministry, the military units involved in the training-combat operations carried out their tasks under the scenario of the exercises in conditions maximally brought to a combat reality. 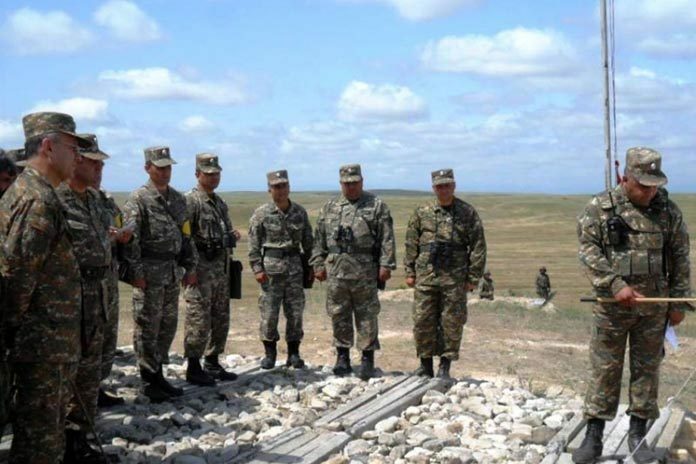 In addition to defense and counteroffensive objectives, the drills also focused on a number of “tactically important” episodes of the April 2-5 clashes with Azerbaijani forces in Nagorno Karabakh, including interaction of units, shooting and other peculiarities of the operations. Defense Minister Seyran Ohanyan, who attended the military exercises, singled out the military units and commanders who distinguished themselves during the drills. The military command praised the professionalism and high morale of the servicemen involved in the exercises, singling out artillery units that showed a high degree of target hitting.